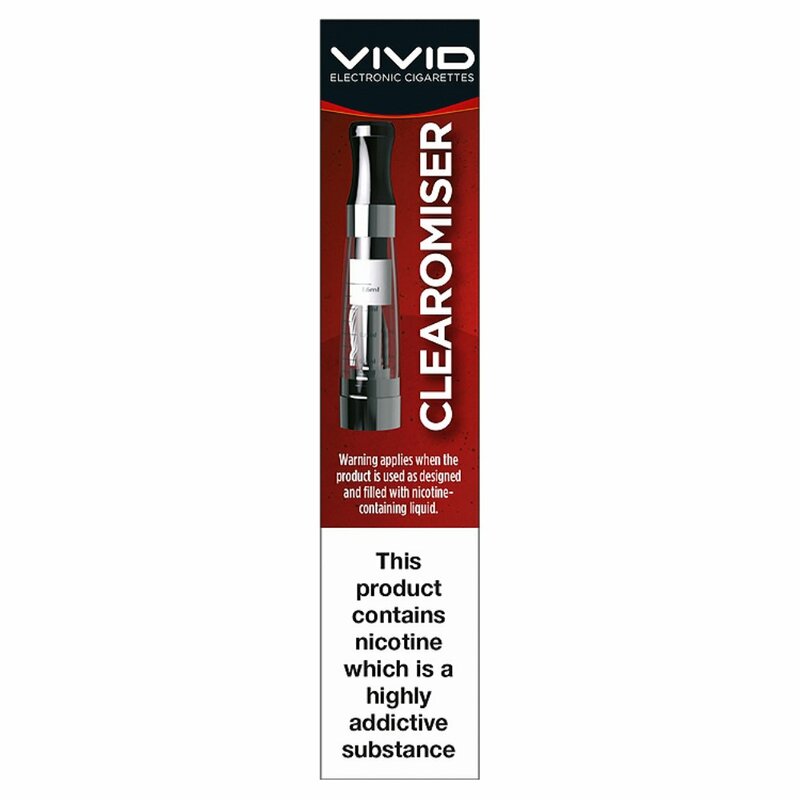 For use only with the "Vivid E-Liquid System". Please read the "Vivid E-Liquid Starter Kit" User Guide. Clearomisers will wear out after a product of time and will need to be replaced. This time period (typically 2-4 weeks) will vary depending on how often you use your Vivid E-Liquid E-cigarette. If you notice deterioration in the quality and taste whilst vaping, this in an indication that the Clearomiser needs to be replaced. Keep this product away from high temperatures during use and storage. Clearomiser is not covered by any warranty offered by Nicocigs Ltd.